Cegedim Relationship Management recently held its annual ‘Life Science Forum’ event in Philadelphia, which offered advice on implementing innovation in pharma. The conference provided a review of the tactical side of achieving true innovation, including opportunities, challenges and the future direction for the industry. This article provides an overview of the messages delivered at the event. 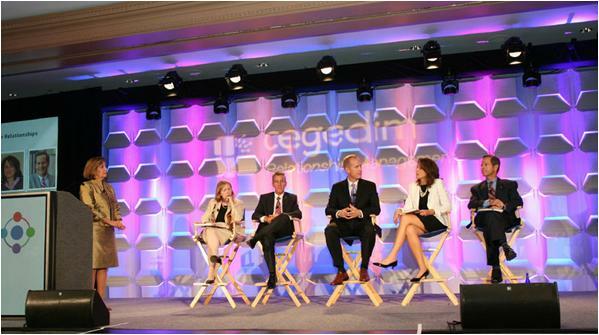 The recent 2012 Life Science Forum, held by Cegedim Relationship Management, in Philadelphia addressed the topic of implementing innovation in pharma. This article provides an overview of the topics discussed at the event. The focus of the event was on the strategies and practices that can be implemented to keep up with the changing nature of pharma business. • 90% of data in the world today was created in the last two years. • There are 444 terabytes of health data in the world. 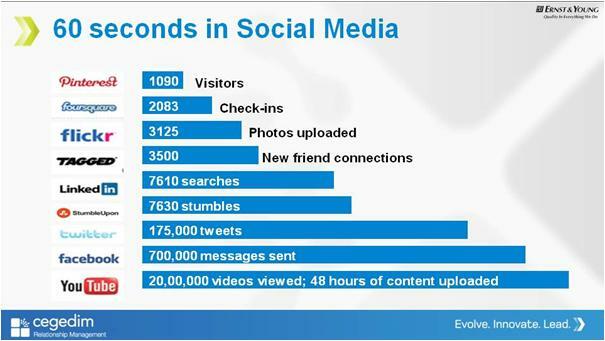 • 30% of validated HCPs are active in social media. Carolyn Buck Luce, of Ernst &amp, Young, key note speaker on day one, introduced the notion of ‘healthcare in the third place’ – healthcare anytime, anywhere the patient is, not just in the doctors’ office and hospital. Carolyn also demonstrated the huge level of activity within social media by sharing a slide detailing activity in social media every 60 seconds. In addition to highlighting the huge move to social media use, Carolyn shared her view of how to change health outcomes. “A large driver of health outcomes is people’s behaviour” she explained. This was demonstrated by her explanation that organ donation would increase by 300% if it migrated to an ‘opt out’ service rather than an ‘opt in’ service. Carolyn highlighted how the focus needed to move to lifestyle changes, such as increased exercise and smoking cessation. She demonstrated how human behaviour could change with the changing nature of the business model of gyms. Many gyms only have the capacity for 10% of its members to actually regularly attend, she explained. Their business model is based on the assumption that most of us will pay our fees and then not attend. An emerging business model allows you to bet against yourself. You are asked how much would you be willing to pay if you don’t attend X amount of times, therefore incentivising members. Some examples of excellent customer engagement, both inside and outside of pharma, were cited by Christine Correia, Inverse mobile. One example was grocery shopping in the subway. In South Korea, a service is offered whereby you can be waiting at the underground / subway and view a stacked shelf of groceries. Using your smartphone, you can select grocery items, which are then instantly ordered for you. You can then return home to find your items either waiting for you or on their way to you. Another pharma-related best practice example that Christine cited was the Humira Mentor program from Abbott. 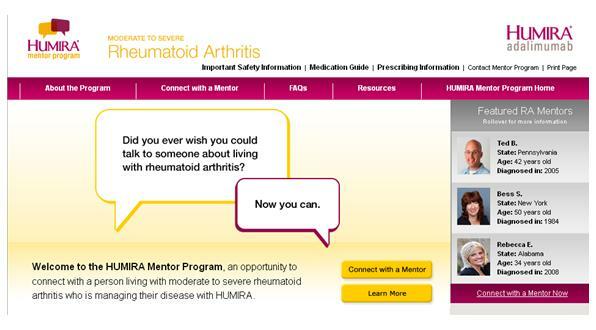 The Humira Mentor Program offers an opportunity to connect one-to-one with someone who also has the same disease as you and who is taking Humira to help manage it. The matching service is similar to that offered by Match.com. The take-home message from Christine’s session was to create customer experiences rather than manage customer relationships, and bring value at every touch point. One example that was highlighted in the event, which represents a truly innovative approach to tackling patient adherence, was the Proteus Digital Health’s e-pill for dose monitoring. The e-pill is an ingestible sensor, containing a tiny microchip, which activates upon contact with stomach acid. A message is then sent out that the tablet has been taken. The technology holds great potential for disease areas such as mental health where compliance can be a problem. Gaming and apps were also discussed at the event with cited examples such as Sanofi’s GoMeals app. GoMeals was developed to help users get instant information to make better meal choices at home or on the go. Another example was iBGStar® Blood Glucose Monitoring System. Are you communicating with the right channels in the right way? Cegedim presented some data around online behaviour of healthcare providers. Interestingly, the top three preferred methods of communication in this group were healthcare blogs, followed by YouTube and then LinkedIn. • 4% HCPs who are active on social media are less likely to see a rep.
• 42-year-old women are the biggest gamers in the US. • Only 17% US adults own a tablet device – expected to rise to 40% by 2016. • Worldwide more people have access to mobile phones than toilets (approx 4 billion mobile phones in use today). Sue Grosso and Jerry Maynor of Cegedim Relationship Management presented some market research data on what physicians report after visits from sales reps in the office, clearly demonstrating that US trends in detailing are changing. • There has been a decrease in face to face meetings with sales reps.
o The average time for a visit with a GP is now less than five minutes. o The average time for a visit with a specialist is about 10 minutes. • 22 percent of US physicians have “no see” bans on detailing visits by pharma sales reps.
• The greatest value was reported by HCPs after longer telephone calls with reps, with 11–15 minutes being shown to be the optimum time. o Clear relationships are emerging between effective call strategies and prescriber impact. • Boehringer Ingelheim and Forest Labs scored the highest among big pharma companies with regards to details to GPs that produced prescriptions. How do disruptive innovators get their ideas? Keynote speaker at the event on day two, Hal Gregersen, bought the focus back to innovation and, specifically, where does it come from? He cited the example of the invention of Play-Doh®. In 1955, Jospeh McVicker had a query from his sister-in-law, a teacher, about a safe and fun modeling clay substitute.² He sent her a sample of a non-toxic compound used to clean wallpaper. It was a hit and subsequently Play-Doh was released and billions of pots of Play-Doh were sold. Hal pointed out that the invention came about by a conversation between two very different people. Hal asked the audience to consider a problem they were experiencing. He then invited them to make a list of ten people that they would consult on this problem. He then queried whether within that list there were people of different gender, social economic status, religion, race etc. The point being that if we always consult people like ourselves whenever we have a problem we won’t find a truly innovative solution. What was evident from this event was that a customer-centric culture would be the way of the future for pharma. As Todd Fancis, Sanofi US, pointed out at the event, “Customer-centric culture trumps everything we do”, demonstrating the adoption of this idea in pharma. Pharma clearly understands that increasing transparency enhances reputation. And as it grapples with how to turn transparency into a competitive advantage, it is evident that transparency will only increase in complexity as time continues. Technology solutions may be the answer to eliminating many of the barriers to getting closer to patients and customers in this time of vast change. 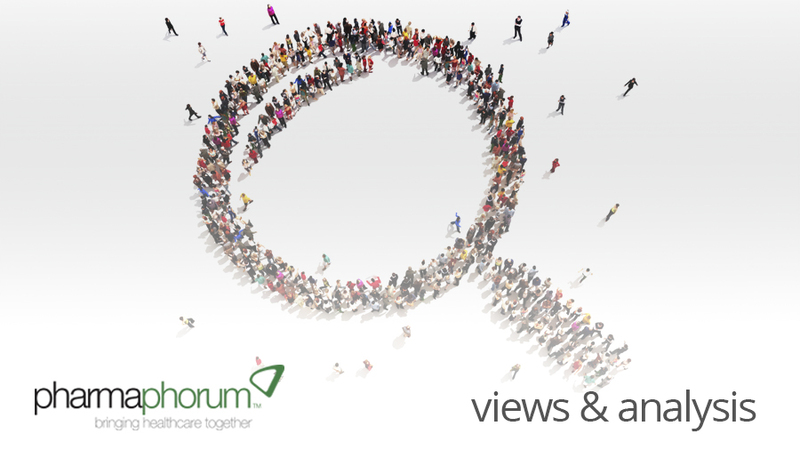 Accessing patients where they are seeking information should be the communication plan of the future. Instead of focusing on “pushing” out messages, we need to observe a movement towards allowing customers to “pull in” data through tools like social media, in order to truly achieve healthcare in third place. For more information on the event check out the Tweet stream #CegedimLSF. Is patient engagement the new blockbuster model?